Flooring and wall surfaces in Food & Beverage, Brewery, even Pharmaceutical and Healthcare facilities now require that they support the industry’s germ and mold-fighting efforts by adhering to strict guidelines set forth by the USDA and other governmental agencies. Antimicrobial and USDA-approved flooring with contamination-fighting additives inhibits the growth of potentially dangerous bacteria across the surface as well as throughout the flooring material. The seamless, non-porous surface stands up to chemicals used in rigorous cleaning, abrasion from heavy traffic and thermal shock from hot water wash downs can cause concrete and other types of flooring to crack, potentially harboring harmful bacteria. The active ingredients in Antimicrobial and USDA-approved flooring are safe for inhabited environments like restrooms, locker rooms, and communal work and living spaces while remaining skid-resistant, and does not contribute strong odors during installation. Surface Solutions provides expert consultation and installation, and a full line of Antimicrobial and USDA-Approved flooring systems in addition to other industrial flooring solutions. We are committed to 100% customer satisfaction on every project. What Type of Flooring Does My Bakery Need? 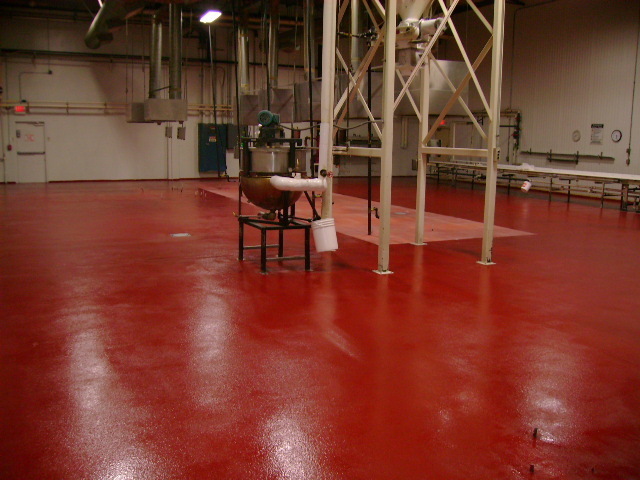 While bakeries might not have the same “wear and tear” as other food manufacturing facilities, specific flooring solutions and coatings are vital for all food manufacturing plants.